Here are some external events we think you’ll be interested in! • Data collection at your local cardiothoracic unit under consultant surgeon supervision. • Clear and easy to follow protocol with set parameters to collect. • Data collection to be completed this summer. • This event will be open to all members of the British Orthopaedic Trainees’ Association (BOTA). It is a fantastic opportunity for all medical students interested in Trauma and Orthopaedic surgery! 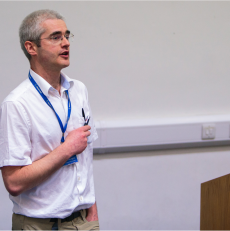 • The BOTA Summer School is a one-day skills event providing high-quality content for senior and junior trainees in Trauma and Orthopaedics involving practical skills useful for career progression. This year we are welcoming our medical student members to join us in our junior stream! o Helping support your group during their climb to the summit – pep talks are always handy! • The symposium has seen year-on-year growth since its inception in 2009 and has become a beacon of excellence within undergraduate surgical education. Through talks, traditionally of a more philosophical nature, and focused workshops carefully stratified by level of skill the symposium aims to be accessible to all. • Both engaging and insightful, WCS 2019 is unlike any other meeting. It is an excellent and affordable scientific event in the field of surgery that brings together the world’s leading experts.